This Christmas Make Reading Fun! In Canada, adult literacy is measured in levels, with Level 3 considered optimal for everyday demands. Unfortunately, four out of 10 Canadians, ages 16 to 65, struggle to reach Level 3—the level that should be attain by completing high school. We are often asked by parents what summer activities we would recommend. The summer is an ideal time to be making an impact on brain skill development. 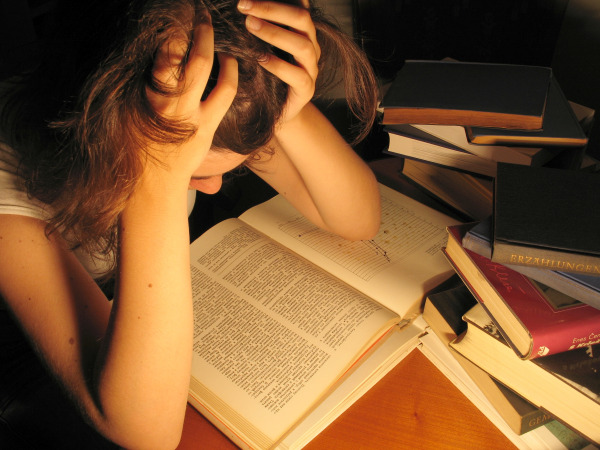 When the brain is not being taxed by the work and pressure of school, it can develop rapidly. Our top recommendations include reading, some excellent brain developing games, reading, activity workbooks like our Brain Boosters, Puzzlemania, Lumosity, reading and various kinds of physical activities and did I mention reading? Next week we will launch our Top 10 Educational Game Guide which will help make this summer one to remember. Visual Discrimination & Eye Tracking - How you can help! This month we are talking about reading, specifically looking at eye tracking and associated dysfunctions. Last week we talked about two types of eye tracking: fusion and pursuit. This week’s topic is often confused with poor eye tracking, but is in fact, very different. Let's take this opportunity to clarify those differences. Time to Act – Learning Disabilities Don’t Just Disappear, the impact continues. Is your child stressed, and do you know why? December is a time filled with report cards and progress checks, teacher meetings and more. Holiday time is the perfect time to find out why your child has been struggling in school. The stress of the back to school season is over but your child’s challenges are not? There are some easy action steps you can take. For the love of reading! Reading Disabilities and Beyond. I hear “My child just isn’t interested in reading” all too often. I guarantee you can find something they’re interested in reading. If not, there are deeper issues that need to be examined and we'll look at many of those in later posts. I’ve seen children whose parents can’t get them to read a thing, yet they pour over a new video game manual cover to cover! The key is finding something that interests them. There’s a book on it somewhere! Bugs, rocks, Barbie’s, video games, mummies, knights, space, animals, you name it, it’s out there. Want help? Below you can download a short interest inventory which will help give you ideas of content your children will be interested in reading! I think reading was perhaps one of the most liberating experiences of my childhood so I am troubled by how many children struggle with reading. A recent survey by Canadian Living Magazine (May 2012) of Ontario’s grade 6 students revealed that ½ of them don’t like to read. Reading was always an area of strength for me, but I have worked with many children who struggle with reading for a wide variety of reasons. I believe that if you are good at something, then in most cases you will enjoy it. For 50% of grade 6 students to not enjoy reading there is something seriously wrong.